Agiblocks CTRM can be made available in a classic server on site set up, but more and more clients request us to deliver it including the Microsoft Server and/or SQL platform (Platform as a Service) or in a hosted environment (Infrastructure as a Service). We offer cloud services such hosted based solutions at a hosting provider of our client choice, but also offer hosting services through our own preferred hosting provider Interxion. Each of these infrastructure services are tailored to specific client needs and, when hosted, are scalable to the their changing needs. Our technical consultants quide our clients in tuning the infrastructure to their needs and support them in integration and or migration projects when these come up. A range of infrastructure services are available where the cloud offering of Agiblocks CTRM is becoming increasingly popular. Why outsource Agiblocks CTRM to the Cloud? As businesses continue to drive for growth and manage costs, they are challenged to respond to an unpredictable economic climate, escalating levels of regulation, technological advances and ever greater volumes and complexity of data that businesses need to rely on. In the face of change, companies look for flexible and scalable ways to manage ICT infrastructures and infrastructure services, without compromising on security and reliability. 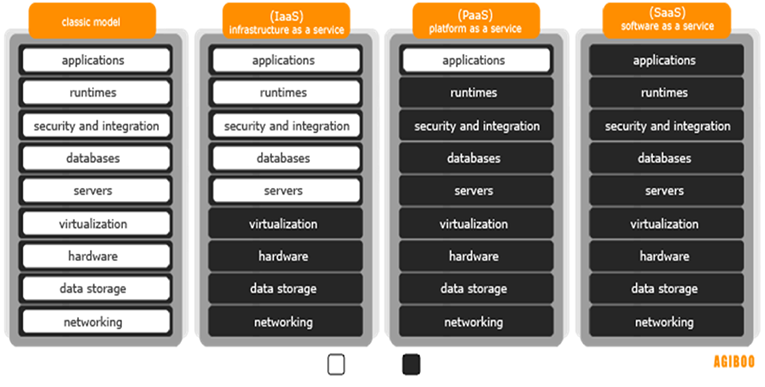 Cloud Services offer an answer to these challenges. For many, outsourcing their need for data centre capacity to colocation partners is the best solution. Companies retain control of their ICT infrastructure while taking advantage of the state-of-the-art technology, scalability, security and availability that third party data centres provide. In turn, this gives businesses the scope to focus on their core business operations. In an environment where economic, technical and regulatory pressures are all impacting business ICT infrastructure, enterprises can find they are either rapidly exceeding, or under-utilising, the capacity of their in-house data centres. Often it’s a challenge to provide the space, power and cooling that advanced infrastructure requires. By colocating your ICT infrastructures in a third party data centre, you can quickly achieve the flexibility, scalability and cost-effectiveness to effectively support your business plans. Cloud Services enable business to scale their operations. Cloud Services enable businesses to maintain competitiveness and achieve greater profitability companies need to drive innovation and improve efficiency. Co-locating your equipment in a third party data centre means you can focus on core business activities without losing control of your data, systems, processes or skills. Increasing levels of regulations are making significant demands on how companies store and manage their growing volumes of data. Taking advantage of colocation facilities in an advanced data centre provides high levels of security, helping you meet changing requirements for compliance and data protection. Professional data centres can also help you address new corporate responsibility requirements around sustainability by delivering efficient power and cooling with minimum environmental impact. Enterprises are challenged to reduce capital and operating costs. Growing enterprises must either build new data centre space in-house to accommodate greater demands, or support redundant space that allows for growth. Power and cooling demands, as well as connectivity requirements, all contribute to rising operational costs. Cloud Services at third party data centres allow you to pay for the space you need and scale only as required. The costs of security and data centre technology are shared with your colocation partner, while costs are further reduced by innovations in efficiency, such as advanced power management. Interxion is a leading provider of carrier- and cloud-neutral colocation data centre services in Europe. Interxion supports over 1,500 customers through 40 data centres across 11 countries, enabling these customers to securely deliver mission-critical applications and content to end consumers, with excellent response time performance. The state-of-the-art data centres provide space, power and cooling with reliability and performance that goes beyond industry standards. Interxion operates in the major metropolitan areas of Europe including London, Frankfurt, Paris and Amsterdam. 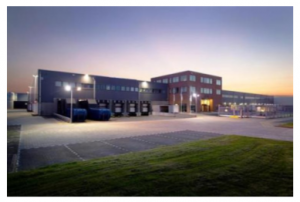 They locate the data centres close to city centres and ensure they have excellent power availability and connectivity. Interxion houses more than 600 connectivity providers and Internet service providers and 21 European Internet exchanges. Interxion received a number of certifications and accreditations, among them are: ISO27001, BS 25999-2, ITILV3, AMS-IX and SOC 2.